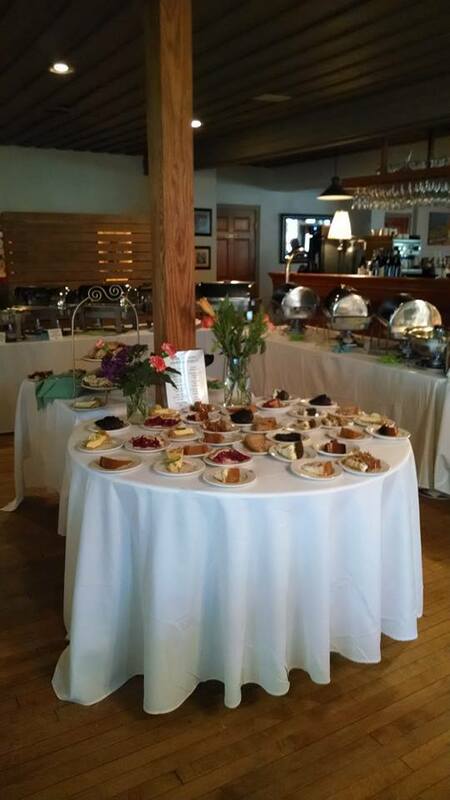 The Harbor Fish Market & Grille in Baileys Harbor, WI has some of Door County’s most beloved Holiday Buffets including their Easter Day Buffet, which falls on their opening weekend for the 2015 season! 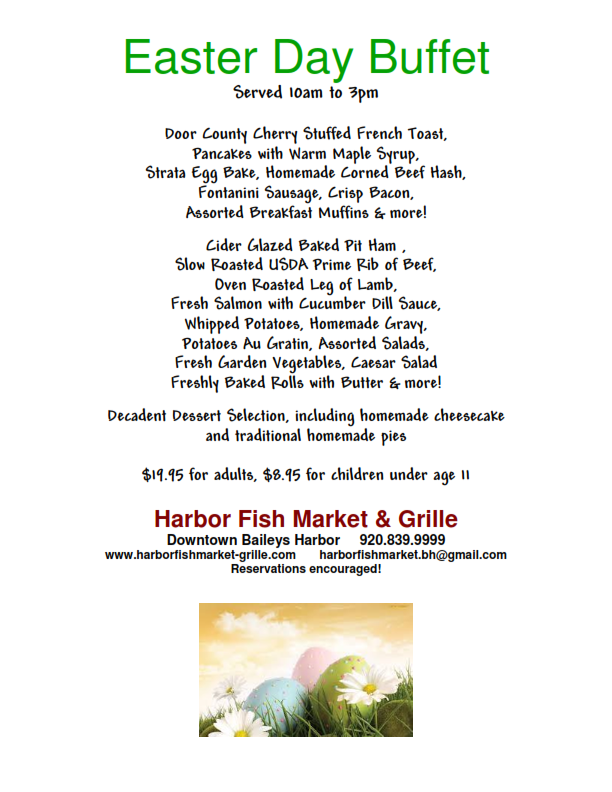 Harbor Fish Market will open back up on Friday, April 3rd, with the Buffet on Easter Sunday, April 5th! The Easter Day Buffet includes breakfast items like Pancakes, Egg Strata, Bacon, Baked goods, and Door County Cherry Stuffed French Toast, in addition to Prime Rib, Baked Ham, Salmon, Leg of Lamb, potatoes and gravy, and lots more! A decadent dessert selection includes pies and cheesecake to wrap up your meal. During April they will be serving lunch starting at 11:30 am and dinner from 4:30 pm on Fridays, and will be serving breakfast starting at 7:30 am, lunch from 11:30 am and dinner from 4:30 pm every Saturday & Sunday. Beginning May 1st they will return to their regular breakfast, lunch and dinner schedule seven days a week! The Harbor Fish Market’s increasingly popular, Traditional New England Lobster Boil will continue to be served every Wednesday, Friday, Saturday & Sunday (when open) from 4:30 pm in the 2015 season. 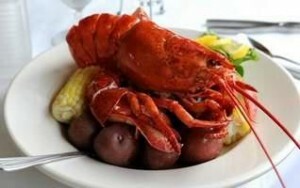 The Lobster Boil features 1.5-2# LiveMaine Lobster with baby red potatoes, corn on the cob, New Zealand Mussels, and Steamed Clams, and top it off with a piece of to-die-for Door County Cherry Bread Pudding! Seasonal, outdoor, waterfront dining is available, welcoming man’s best friend to dine with you – they even have Doggie Menu menus available, weather permitting of course. Follow Harbor Fish Market & Grille on Facebook for more photos and specials! Find more of what you’re hungry for in Door County: Download the Door County Chefs FREE, Mobile, Dining Guide App for iPhone and Android!